At the UC Berkeley College of Natural Resources, students enjoy a small-college experience at the world’s greatest public university. CNR’s nine undergraduate majors , sponsored by four academic departments, are multidisciplinary programs that encompass the natural and social sciences, with a strong commitment to undergraduate teaching and flexible, integrative approaches. Ten graduate programs , consistently placed at the top of national rankings, allow students to form partnerships with faculty working at the leading edges of their fields. "One of the best parts about being in CNR is that there’s no ivory tower here. We do basic research in labs and in the field, but it’s directed to real-world problems." CNR’s majors are multidisciplinary programs that encompass the natural and social sciences, with a strong commitment to undergraduate teaching and flexible, integrative approaches. Conservation & Resource Studies is an individualized interdisciplinary program for students interested in environmental issues and interaction among natural resources, population, energy, technology, societal institutions, and cultural values. Environmental Economics and Policy explores aspects of economic and political institutions that affect the development and management of natural resources and the environment. Environmental Sciences majors study environmental problems from a scientific perspective, focusing on issues arising from the impact of human activities on natural systems. Forestry & Natural Resources focuses on the conservation and restoration of the earth’s natural resources through hands-on study of the ecology, stewardship, and management of forest, woodland, and grassland ecosystems. Genetics & Plant Biology emphasizes the study of plants from the genetic level to the entire organism. From oxygen, to food, to shelter, to energy, to shade, plants provide us with virtually everything we need to survive and to thrive. Microbial Biology focuses on small life forms such as microbes, viruses, and fungi that make up the majority of planetary biomass. Microbes play fundamental roles in maintaining biosphere health. Molecular Environmental Biology provides a sound understanding of the organization and function of biological organisms. Molecular approaches are playing an increasing role in environmental problem-solving. Society and Environment introduces students to the main approaches to environmental social sciences, including how social science tools and theories can contribute to understanding environmental problems. Consistently placed at the top of national rankings, CNR’s graduate programs allow students to form partnerships with faculty working at the leading edges of their fields. At UC Berkeley, graduate programs are run by academic departments. The College of Natural Resources houses four academic departments and the Energy and Resources Group, a unique interdisciplinary graduate group. Even at—especially at—the graduate level in CNR, we value investigating how inter-related concepts intersect in a single area of study. Understanding the bigger picture allows us to make a positive impact on the world. For a more information about applying to graduate schools, contact the Grad Division or the academic department that sponsors the program you’re interested in. Agricultural & Resource Economics - PhD. ARE’s doctoral program produces outstanding researchers in economics and policy, specializing in problems of agriculture, agribusiness, applied econometrics, biotech/intellectual properties, energy, environment and resources, international development, and international trade. Energy and Resources - Master’s degree and PhD. Students in the Master’s and Ph.D. programs at ERG are taught the range of methods and subjects they should be able to understand, advance, and critique to address critical issues stemming from the interaction of humans and the environment. To that end, the requirements are both broad and deep, stressing analytic, methodological, theoretical, and practical approaches to problems in energy, resources, and the environment. Environmental Science, Policy & Management - PhD. ESPM is engaged in biological, physical, and social research that spans the continuum from basic to applied research. The PhD program incorporates two general approaches: (1) broadly based interdisciplinary education and (2) disciplinary education in relevant fields supplemented with exposure to cross-disciplinary communication and problem solving. Forestry - Master of Science. ESPM’s Master of Forestry degree is the only “MF” program in California and the only graduate degree program in California that offers qualifying credit for meeting education/experience requirements for licensing as a Registered Professional Forester in California. Range Management - Master of Science. Graduate study in range management serves as the basis for a professional career in rangeland livestock production systems, grassland, savanna, wetland and/or shrubland ecology and management, native plants, rangeland rehabilitation, conservation easements, wildlife habitat, water quality issues, working landscapes, and rangeland economics and policy. Metabolic Biology and Metabolic Toxicology - Master of Science and PhD. NST degree programs span a breadth of topics from the delivery of nutrients to mammalian cells and their molecular functions, to the influence of genetics on diet-associated human disease, to programs and policies that address human and environmental health and safety. Degree programs include MS and PhD degrees in Metabolic Biology and a Metabolic Toxicology PhD. Plant Biology - PhD. The Plant Biology PhD program focuses on basic plant research and on the design of biotechnologies. Our partnership with the United States Department of Agriculture’s Plant Gene Expression Center in nearby Albany, Calif., offers a model of successful collaborations between the University and an outside agency. Microbiology - PhD. Microbiology draws on and is relevant to the fields of biochemistry, physiology, molecular biology, genetics, cell biology, developmental biology, pathogenesis, ecology, and evolution. UC Berkeley’s Graduate Group in Microbiology provides students with the education and research experience needed to develop as top scientists and researchers in the field. Master of Development Practice - The MDP is based on multidisciplinary, constructivist approach to graduate education that integrates theory with hands-on, experiential learning. 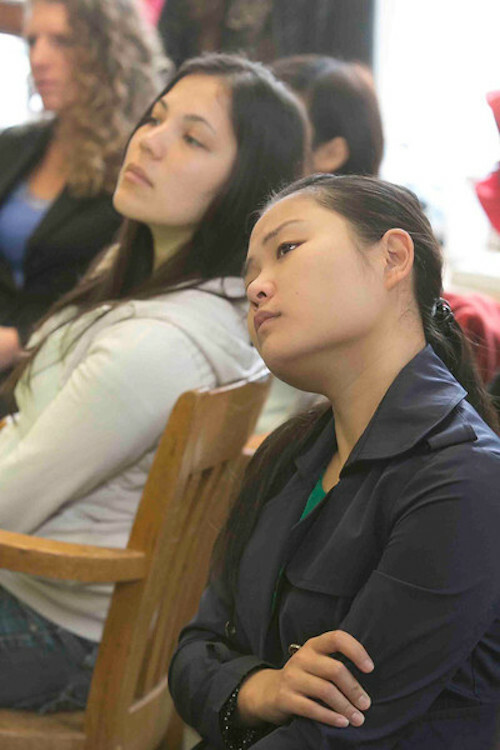 It is designed to meet real-world challenges, identify paths toward sustainable development, and serve as a hub of development practice on the Berkeley campus. S.V. Ciriacy-Wantrup Postdoctoral Fellowships in Natural Resource Economics and Political Economy will be awarded for the 2015-2016 academic year to support advanced research at the University of California, Berkeley. For the purposes of this fellowship, natural resources are defined broadly to include environmental resources. The fellowship encourages, but is not limited to, policy-oriented research.